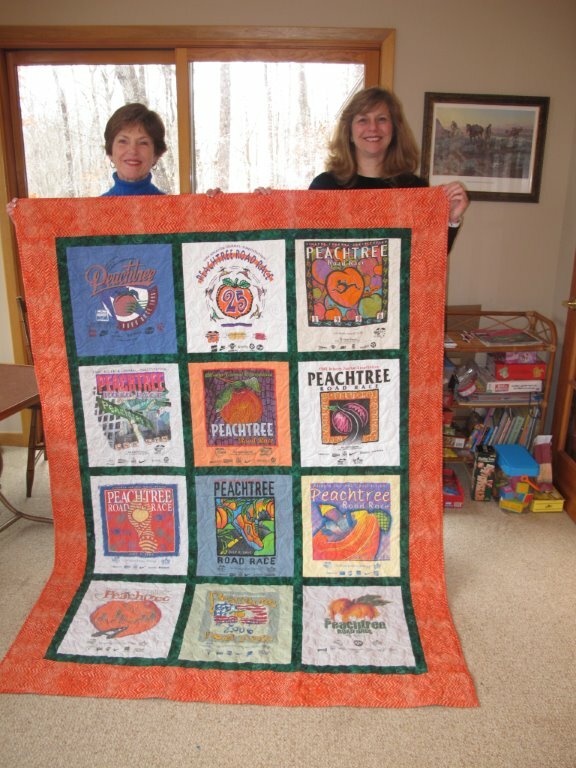 What a wonderful surprise this weekend when Stephanie presented me with the completed quilt as all the family looked on. I love it and so do the rest of the family! I was delighted that you completed it so quickly. 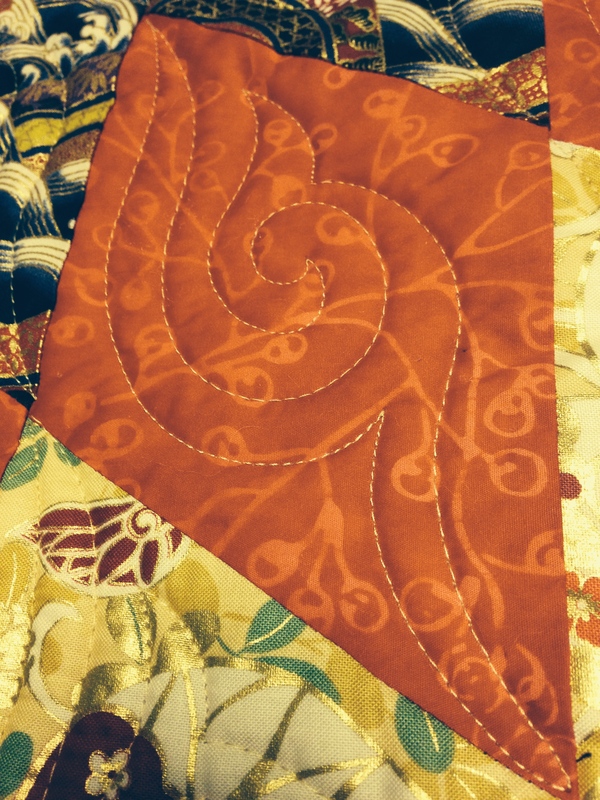 I am so happy with our choices of fabric for the border, the dividing strips and the backing. You have done a fantastic job of pulling it all together. It is beautiful! 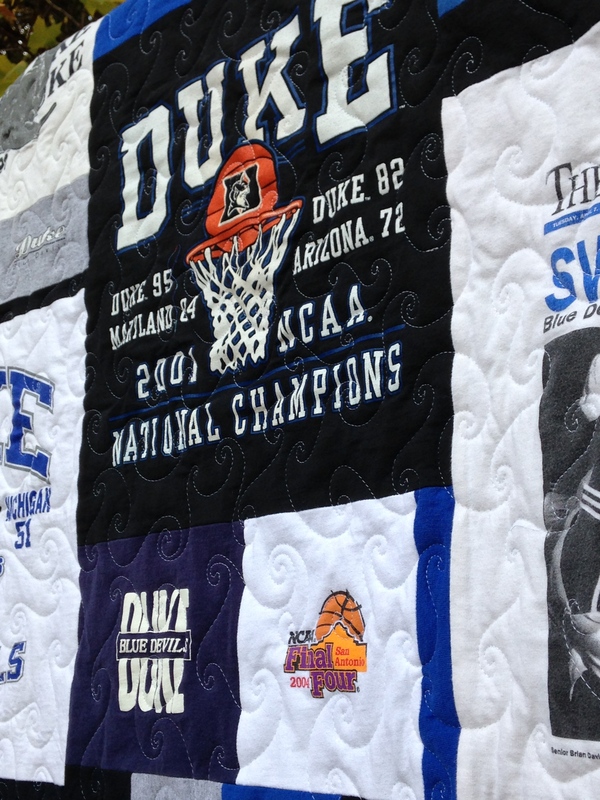 The quilt is an heirloom that I will treasure and that we will all enjoy for years to come. Life is grand when you are doing something you love! Ever since my mother joined her young husband in Japan for a tour with the Corps of Engineers, she has had a love for all kinds of Asian art, fabrics, decorations, etc. 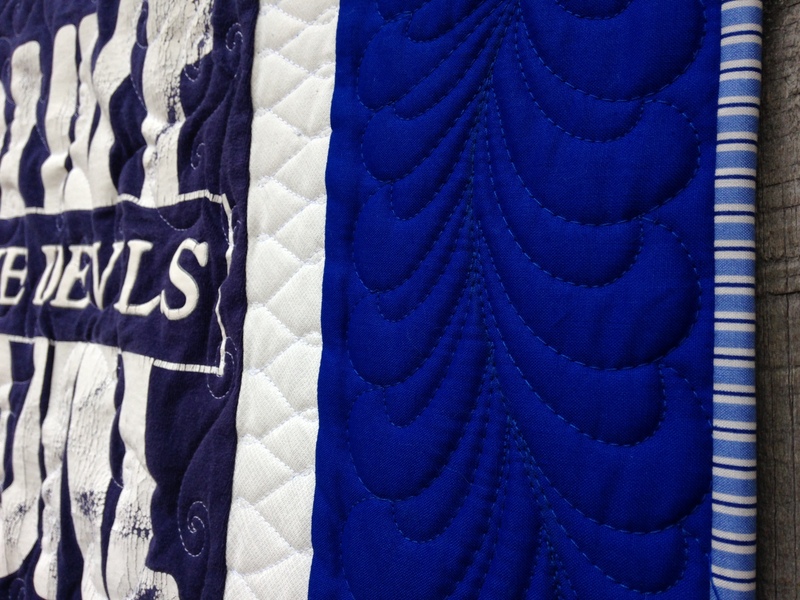 When she asked me to make her a small quilt, I took her to Intown Quilters, in Decatur, Georgia, where she picked out the most gorgeous fabrics. We were trying out a new idea – like a bed scarf or bed runner similar to what you see in hotels, but made for a couch! Turns out, it adds just the amount of color and richness for her living room and even better, she loves it! 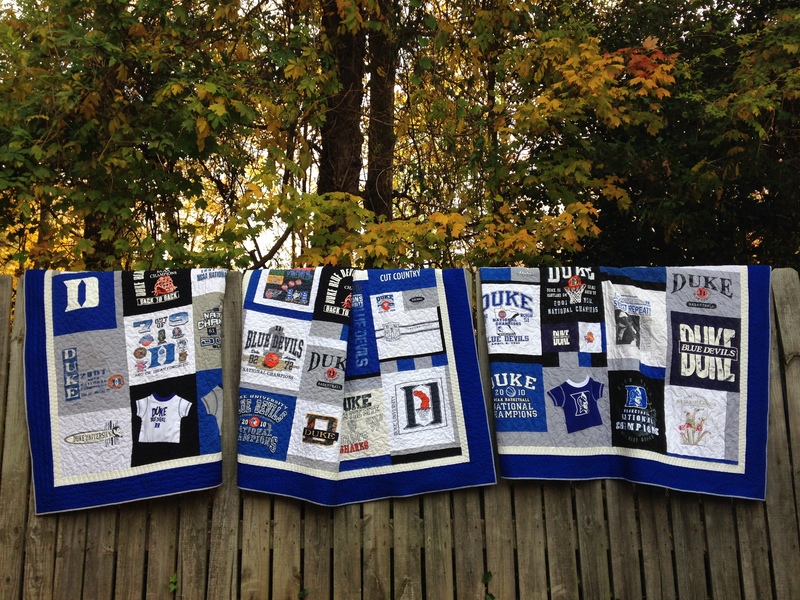 In 2014, I had a great opportunity to create 3 quilts for a huge Duke fan! 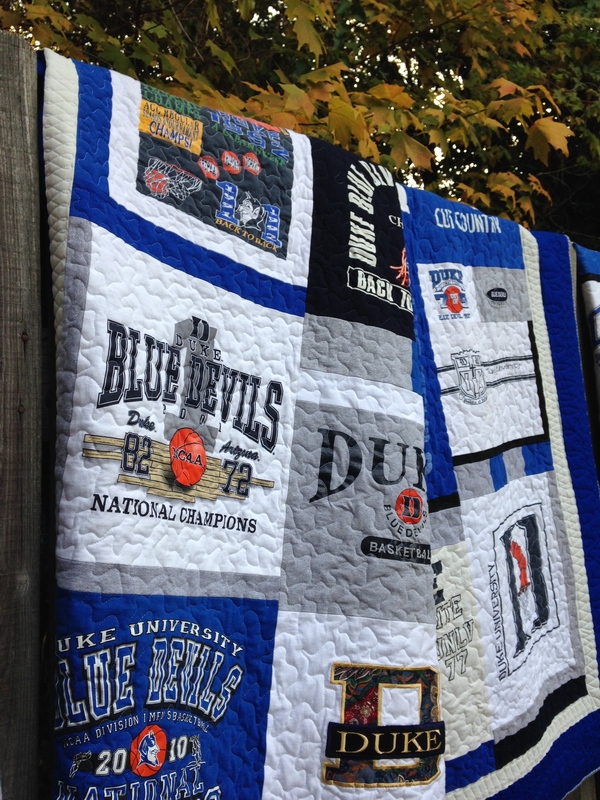 basketball shirt you can imagine 🙂 Quilts are such a great way to upcycle all of those shirts in your closet!